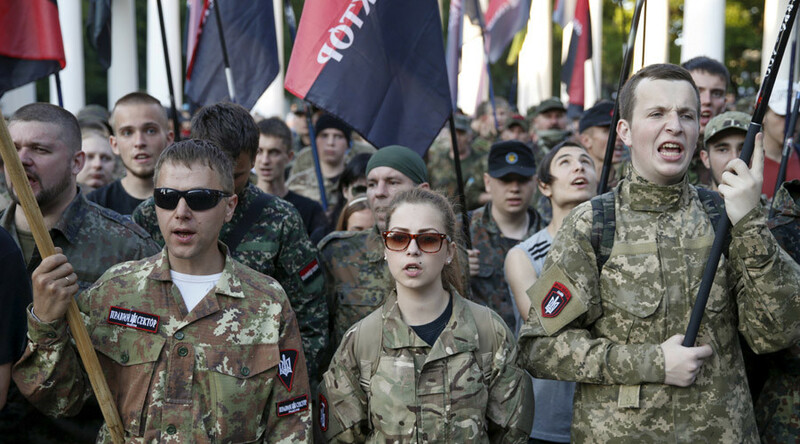 The volunteer battalion of the ultranationalist Ukrainian Right Sector group is illegal, according to the country’s Judge Advocate General, who slammed the group for its failure to integrate into Ukraine’s military. 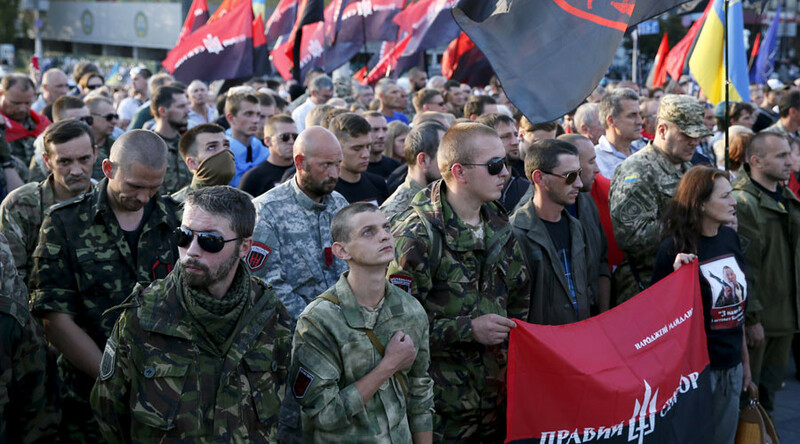 The Right Sector battalion has over the past two years failed to decide whether it wanted to join the ranks of Ukraine’s army or of National Guards, the Judge Advocate General said in an interview. 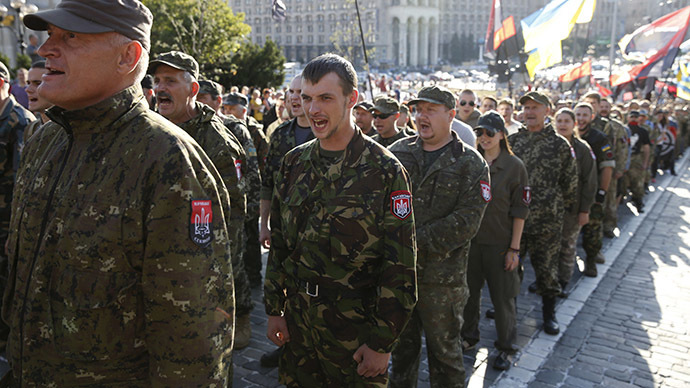 “According to all juridical norms and practices, and to the Ukrainian Constitution, speaking in meager legal terms, the Right Sector volunteer battalion is an illegal armed group,” Judge Advocate General Anatoly Matios told Ukraine’s Public Radio. 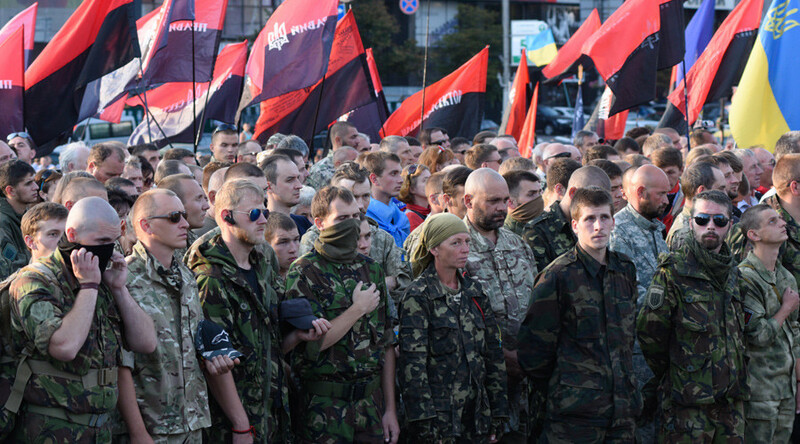 Matios has condemned certain incidents when the Right Sector volunteer battalion militants violated Ukrainian legislation. “It is unacceptable that a [military] unit, even acting under the slogans of patriotism, should be lurking well-armed in rearward areas, playing firing on police checkpoints. Whether police is right or wrong is a question of law and its application,” Matios said. 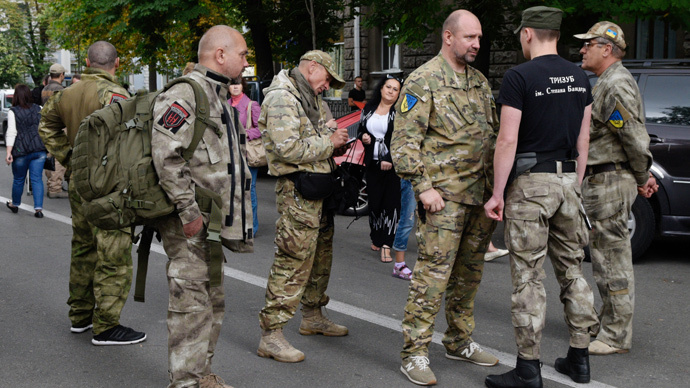 In July 2015 the Right Sector militants clashed with police in western Ukraine's Mukachevo. 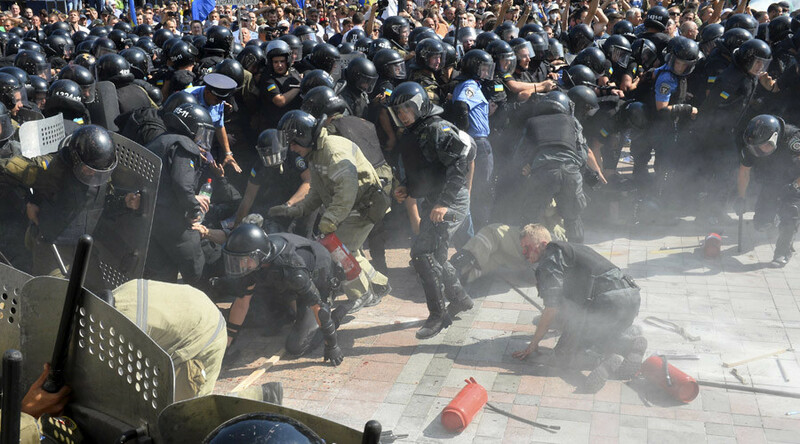 Kiev called the incident an "act of terror," while the group said its forces would stand against the authorities across the country. The incident left four civilians and three police officers injured. 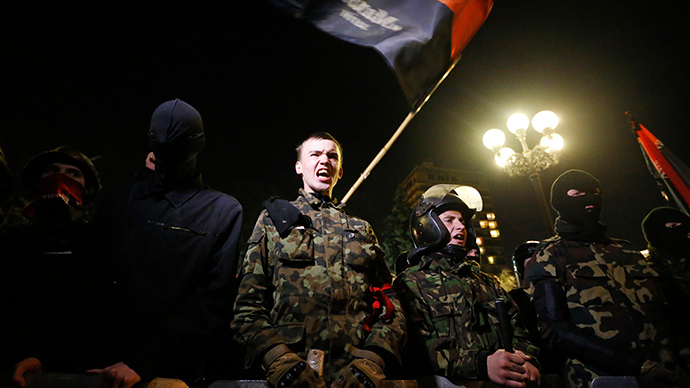 One civilian was killed by Right Sector gunmen. The ultranationalist group said two of its fighters were killed and four injured in the incident. If Ukrainian authorities go on with covering up general crime with patriotism, “chaos will devour Ukraine,” Matios said. He however described Right Sector as “extreme patriots of the state” and their fallen fighters as “heroes, the country’s elite”. Members of the Right Sector group took an active role in events on Maidan which resulted in a government coup in Ukraine in 2013 that led to the deposition of President Viktor Yanukovich. 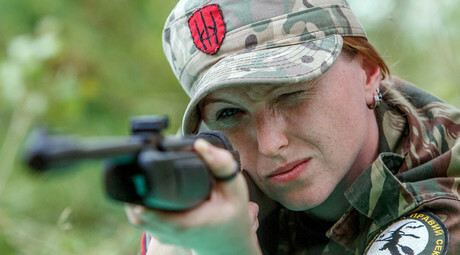 In Russia the group’s activities were banned under a Supreme Court decision in January 2015. In addition, Russia’s Investigative Committee started criminal cases against several members of the radical Ukrainian group over charges of fighting against the Russian military in the Chechen wars of the 1990s. 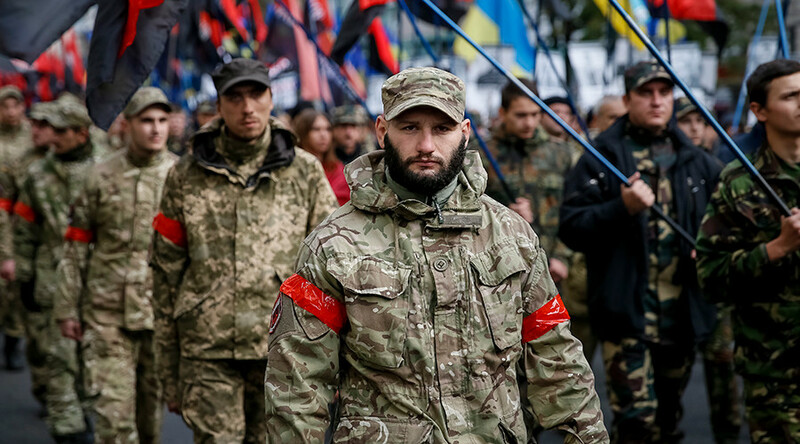 On January 19 Ukrainian nationalists, largely represented by Right Sector, marched through the center of the Ukrainian capital of Kiev to commemorate the two year anniversary of Ukraine’s Euromaidan events. 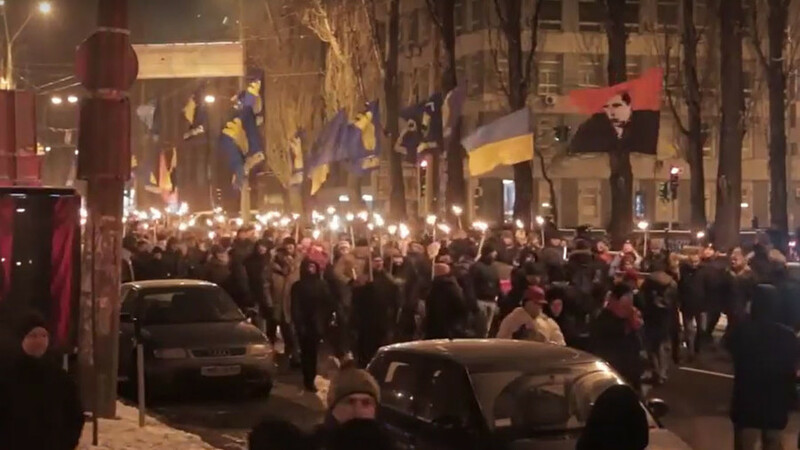 The crowd marched with Ukrainian flags and the flags of the far-right Right Sector group and gathered piles of tires setting them ablaze in front of the governmental buildings.